Part of the festival’s Black Perspectives series, this film features a pop star trying to come to grips with her sudden fame as she starts an affair with her political activist bodyguard. Q&A with director Gina Prince-Blythewood and lead actor Nate Parker[$20]. This Turkish character study won the ultra-prestigious Palme d’or at this year’s Cannes film festival. That alone makes it worth a look, unless you really don’t care what French people think about film[$20]. Oliver Stone’s controversial satire on the American glorification of killer and criminals is back for a 20th anniversary screening. Stone himself will be there to commemorate the occasion[$14]. The Festival is on for two weeks until October 23. Stay tuned for more coverage as it continues. The Logan Center is partnering with Diasporal Rhythms, a group that collects contemporary art from artists of African descent, to present their annual tour of private art collections in Hyde Park homes this Saturday. Trollies leave from the Logan Center at 9 a.m. and 1 p.m. It is free for students with UCID. Register online. 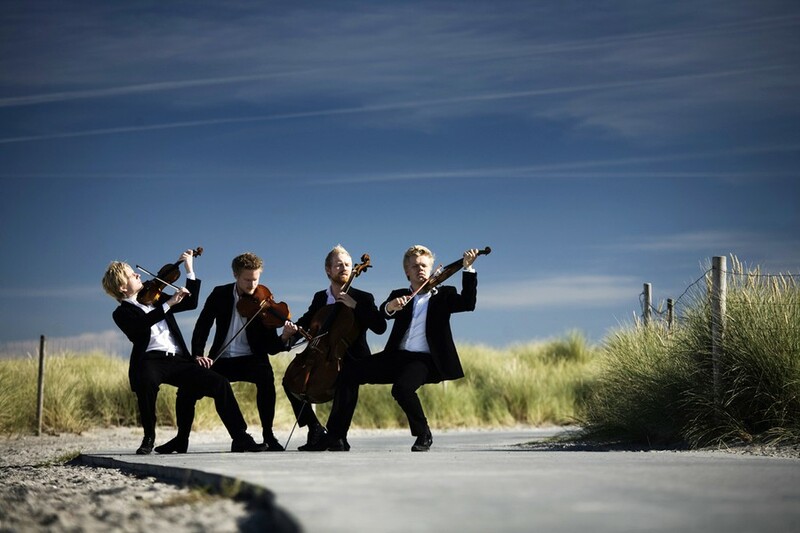 Tonight, the Danish String Quartet — a group that has received rave reviews such as “Every nuance, phrase and gesture beautifully wrought,” from the New York Times — will open the University of Chicago Presents’ 71st season in Mandel Hall with pieces by Joseph Haydn, Thomas Agerfeldt Olesen, and Schubert. There is a pre-concert lecture starting at 6:30 p.m. The concert begins at 7:30 p.m. $5 student tickets are available through the UChicago Box Office. With no knowledge of the storyline of any previous work of the American Blues Theater, who is partnering with the Court Theatre for this production, I went to Native Son with no indication of the landmark production I was about to see. The intricate story and emotional strength left me absolutely stunned as I left the theater. The show is running at the Court Theatre through October 19th, so close that there’s no reason not to stop by for a night of thought-provoking intensity. Tickets are $15 for UChicago students. When was the last time your jaw dropped? Everybody loves the circus, especially one that’s a short walk away, and you can catch the high-flying antics of Universoul Circus at nearby Washington Park almost every day through October 19. Personally, I’m partial to tight-rope walking, so I’m looking forward to getting a dose of classic fun for my inner seven-year-old runaway. There are several shows a day; the schedule and tickets are available on their website. $25 per person.